Expedia has some outstanding Guimaras Island package deals Bundling your bookings is one of the best ways to save time and cash — and get your journey off to a flying start. 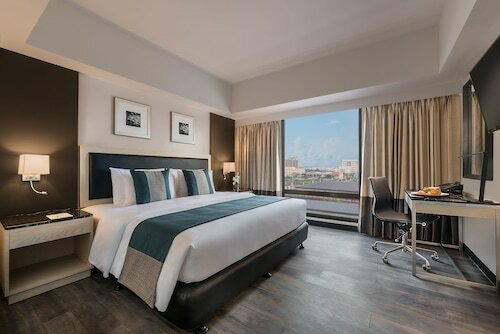 You can select from more than 400 partner airlines and 321,000 worldwide properties on our extensive database of accommodations and flights. Fly with who you want, stay where you want — now that's the perfect vacation! Don't worry about altering your group's travel plans, as we don't charge additional cancellation fees for almost all of our reservations. It's nice to just amble around the streets in a new destination, but sometimes it's a wise idea to come up with a plan. Grab your itinerary — we have heaps of awesome ideas for your upcoming Guimaras Island vacation. Eager to learn the everyday stories of human history? Enjoy an exciting insight into past human behavior and cultures at Iloilo Museum. Adventurers are spoilt for choice in the area. Frequented for worship and moments of spiritual meditation, Jaro Cathedral is a prominent religious structure. That being said, you don't need to be a church-goer to appreciate this soothing space. Still got time on your hands? After a way to reduce the stresses of your hectic life? Drink in the fresh air as you go for a romp through Bulabog Putian National Park. 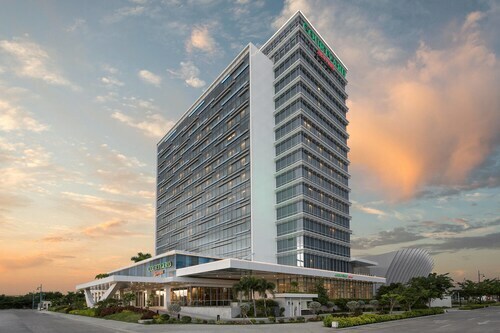 As Guimaras Island doesn't have any properties listed on Expedia, travelers might like to stay at the Richmonde Hotel Iloilo (Megaworld Blvd cor Enterprise Rd) or the Seda Atria (Pison Avenue, Atria Park District), two more upscale options located 10 miles (16 km) away in Iloilo Museum. Some more economical Iloilo Museum options are the Casa Tentay (68 Commission Civil St. Jaro) and the One Lourdes Dormitel (Cor. Fuentes – Ledesma Sts). Sitting 20 miles (32 km) away, Iloilo International Airport (ILO) is the most convenient terminal to your destination. Check that your seat belt is fastened and put your seat in the upright position — your exciting trip to Guimaras Island is about to start! 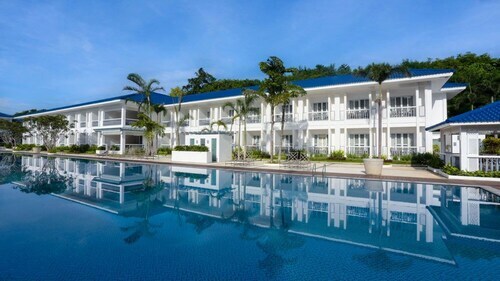 Situated on the beach, this resort is 0.6 mi (1 km) from Alubihod Beach and 25.6 mi (41.2 km) from Isles of the Seven Sins. Nestled on the beach, this Nueva Valencia guesthouse is 0.4 mi (0.7 km) from Alubihod Beach and 25.8 mi (41.6 km) from Isles of the Seven Sins. Situated in Jordan, this hostel is 10.1 mi (16.3 km) from Alubihod Beach and 16.1 mi (26 km) from Isles of the Seven Sins. 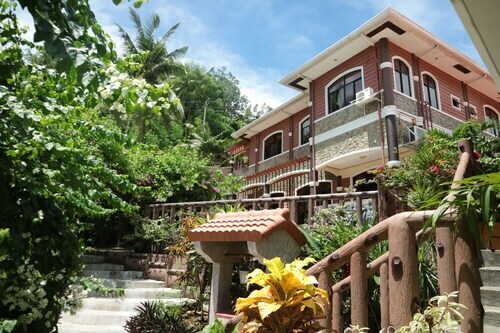 Situated in Nueva Valencia, this guesthouse is 2.2 mi (3.6 km) from Alubihod Beach and 27 mi (43.4 km) from Isles of the Seven Sins. Situated in Iloilo, this hotel is within 1 mi (2 km) of Jaro Cathedral, Iloilo Convention Center, and SM City Iloilo. Plazuela de Iloilo and Central Philippine University are also within 1 mi (2 km). 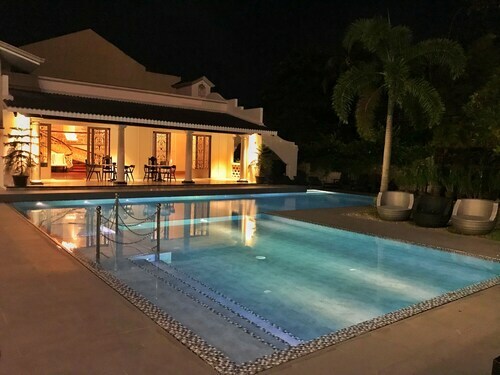 Situated in Bacolod, this spa hotel is within 1 mi (2 km) of Negros Museum, San Sebastian Cathedral, and ROBINSONS PLACE Bacolod. SM City Bacolod Northwing and SMX CONVENTION CENTER are also within 1 mi (2 km). 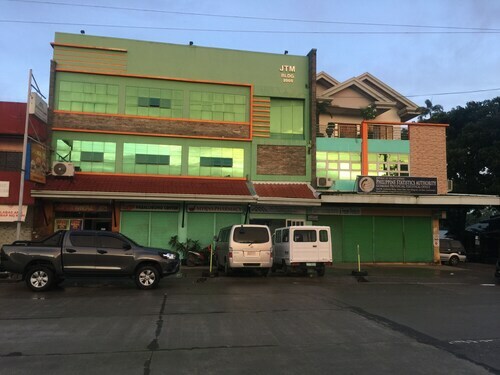 Located in Iloilo City Proper, this hotel is 0.7 mi (1.1 km) from Iloilo Museum and 2.2 mi (3.5 km) from SM City Iloilo. Iloilo Esplanade and The Molo Mansion are also within 2 mi (3 km). 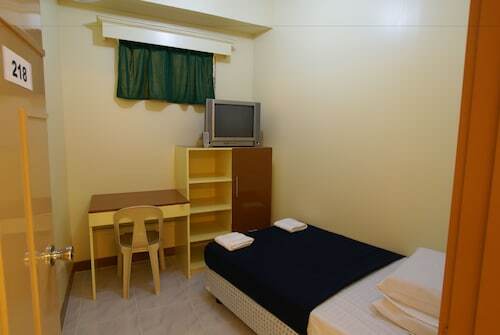 Situated in the entertainment district, this hotel is within a 15-minute walk of QualiMed Hospital and SM City Iloilo. Iloilo Convention Center is 1.2 mi (2 km) away.